euforbio, L. Euphorbia indica, Fr. euphorbe indienne, Eng. Indian euphorbia, spurge. This cactus-like plant originated in India, spread to Africa and world-wide. Pliny claims that when it was discovered Juba II, King of Mauritania (62-46 BC), named the plant in honor Euphorbus, his Greek physician. Since, euphorbia has come to mean an exaggerated feeling of well-being or euphoria due to the effect of the resin or milky juice in the plant on those who use it. Unfortunately, the king seemed to lack euphoria when the Romans invaded in 46 BC. He committed suicide. The plant is contains euphorbium, an extremely acrid gum resin consisting of a milk juice. This produces cheerfulness. 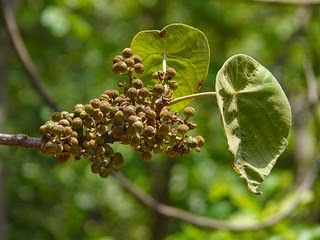 It is used in medicine for its emetic, anti-depressant and purgative properties. 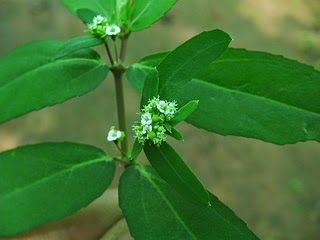 In the 13th C. Avenzoar prescribed an electuary made with the resin of euphorbia and snake meat. He described it as hot and dry and used it to dissolve intestinal obstructions and to prevent epidemics of illnesses. In powder form, it has been a favorite of practical jokers as it causes violent sneezing. It was used as a drastic purgative, dropsy cures and for chronic eye, ear and brain problems but the action of the drug is so severe that such practices have been abandoned. It is an extremely irritant plant. Those dealing with it must cover their mouth and nose with a cloth but they burn their fingers when making incisions in the branches to collect the resin. The part sold is a yellowish-brown transparent waxy substance called ‘tears.’ It gives off a slight aroma when heated. Dissolved in alcohol and burned, it becomes very aromatic. It barely has any taste at first. Then it becomes quite acrid. It is said to have been used in paints for ships to protect the bottoms from rotting. In Al-Andalus during the 13th C, the plant was imported from Morocco and used as kindling as noted by Perry in his translation of Anon Al-Andalus. In Mogador today the branches are used in leather tanning. It is interesting to note that the poincetta is a member of this family but its resin is poisoness.